Even before our inception in 1989 TCIC developed expertise in various technologies. Our experts have undertaken cases in the areas of patent infringement, theft of trade secrets, technology licensing, and other intellectual property disputes. In addition, our experts have supported patent portfolio analysis and licensing studies and numerous industry projects. Mr. Bates has been involved in the industry long enough to understand the technologies inside and out. He has been a consulting expert in many cases involving wireless technologies and a testifying expert in several cases dealing with wireless networks (cellular, GSM, 3G, LTE, Wi-Fi and SMS) and wired networks (PBX, Data, VoIP, 800 services). His ability to sort through the jargon, and clearly speak to intellectual property infringement, aids his clients in determining what avenue to pursue. Whether it is on telephone equipment or operations, Voice over the Internet Protocol, Voice over WiFi, Wireless Technologies (WiFi, Cellular, GSM, SMS, etc.) 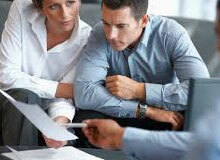 we have the experience to help you sort through the maze of jargon and claims by the various parties involved. Consider TCIC when looking for that expert! More than two-thirds of our engagements come from existing clients; some have come from opposing counsel and opposing witnesses – a true testament to the quality of our experts and our service.